Most of the high winds had passed us but we still had some gust of 20 knots this morning. We motored to the swim point with our mainsail on deck for some repairs. Last night, the strong wind ripped off the last stitches that held up our reef two. Maria and Gonzo were working on repairing the reefs when I jumped in the water, Maks was on the kayak. 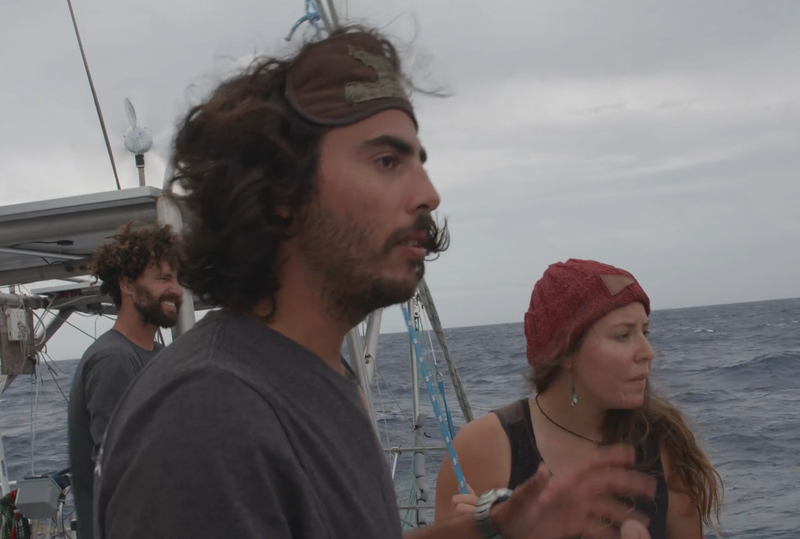 The strong wind and waves pushed us south and it was merely impossible to progress on a different heading. Maks spotted a swordfish fins on the water but by the time he got my attention they had disappeared. I didn’t see anything in the water either. 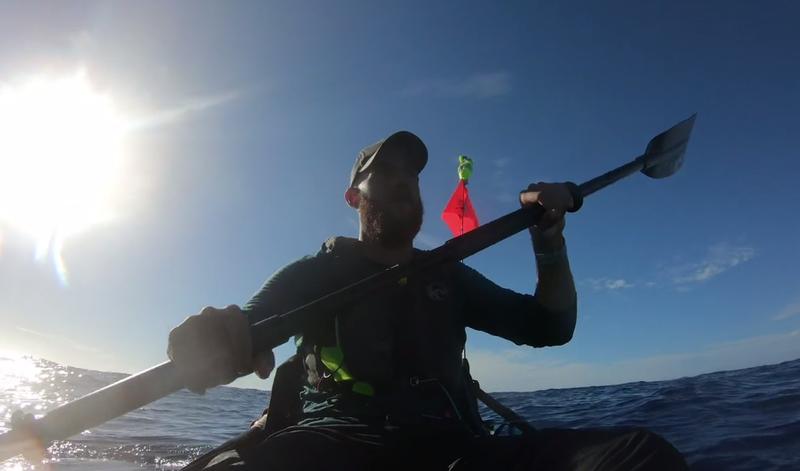 Today we used our yellow kayak “Ban Ana”, it is shorter and wider, and more stable than the green one “Max Attack”. It was the right choice, Maks surfed on few of the big waves but never lost control. He wore full clothing to stay warm, the northern wind was cold, and fortunately he did not fall in the water. The water was warm compared to the temperature of the wind, I could feel the cold wind on my shoulders and back, but I put an extra cap and my head stayed warm. We did not have a full day of swimming because of a late start but I was happy with the distance we covered. Amazing dedication. Keep it up. 6,000 miles in 30 years of exercise.